Several European powerhouses have expressed their interest in signing James Rodriguez. 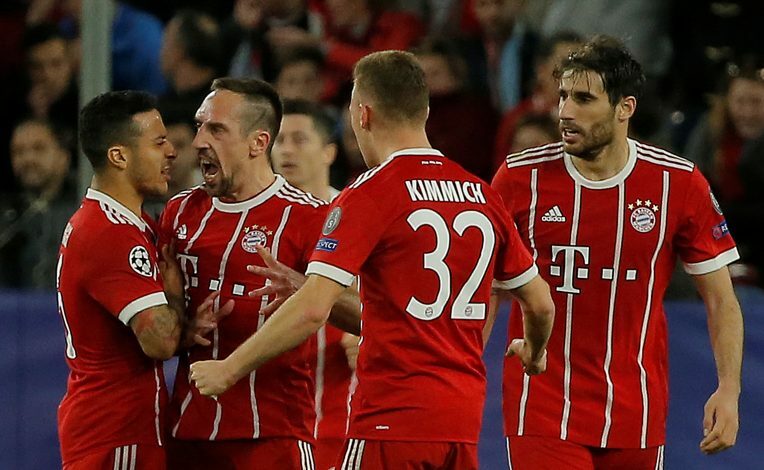 The Colombian superstar is currently on loan at Bayern Munich from Real Madrid, and the Bavarian giants have an option to make the deal permanent at the end of the season. Amid reports that have suggested that the reigning Bundesliga champions are unlikely to buy the playmaker, club chairman Karl-Heinz Rummenigge has remained coy about the player’s future, having stated that the topic isn’t a priority at the moment. “In our agreement we have an option that we can make use of until 15th June 2019. We are having November now so I don’t think it makes sense to speak about it now already,” Rummenigge stated on Thursday (via Goal). He further highlighted James’ terrific performances for the German outfit during the previous campaign, by adding: “I am of the opinion that James played great football last season. He was one of our best players as far as I remember. Amidst the uncertainty surrounding his future in Germany, AS have revealed that as many as four European juggernauts have expressed their interest in signing the playmaker next summer. The list of interested parties includes the likes of Manchester United, AC Milan, Juventus, and Barcelona, with all these clubs eager to lure away the player who is supposedly ‘unhappy’ at the Allianz Arena. Recent reports have claimed that Rodriguez himself would prefer to make a return to Real Madrid. However, if one of the aforementioned giants offer him guaranteed and regular game-time, the 27-year-old might just end up changing his mind. Time shall tell.